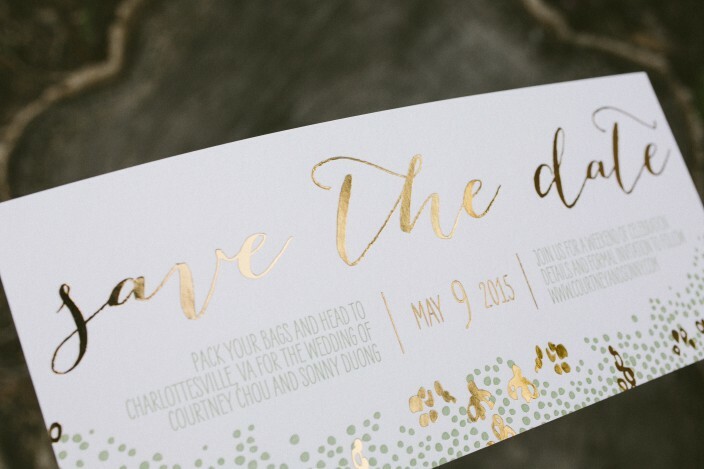 Courtney and Sonny combined the layout from our Rainier save the date with the design elements from our Tatra suite to create their gold foil save the dates. 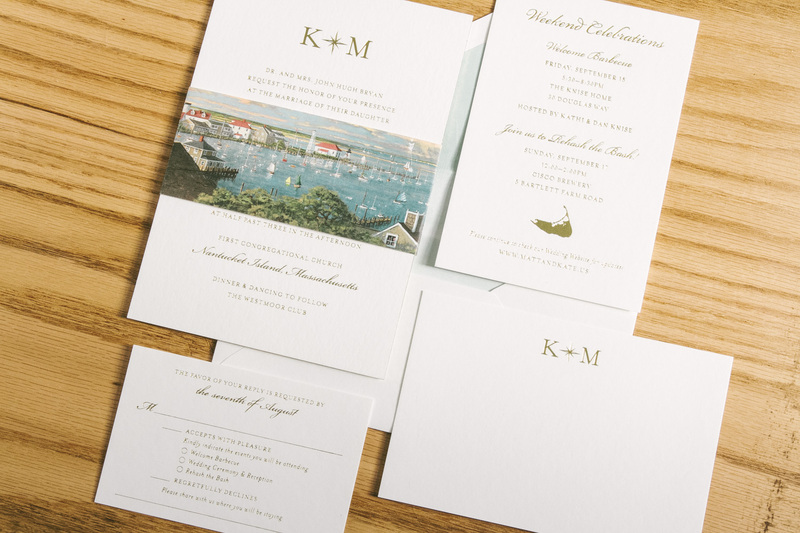 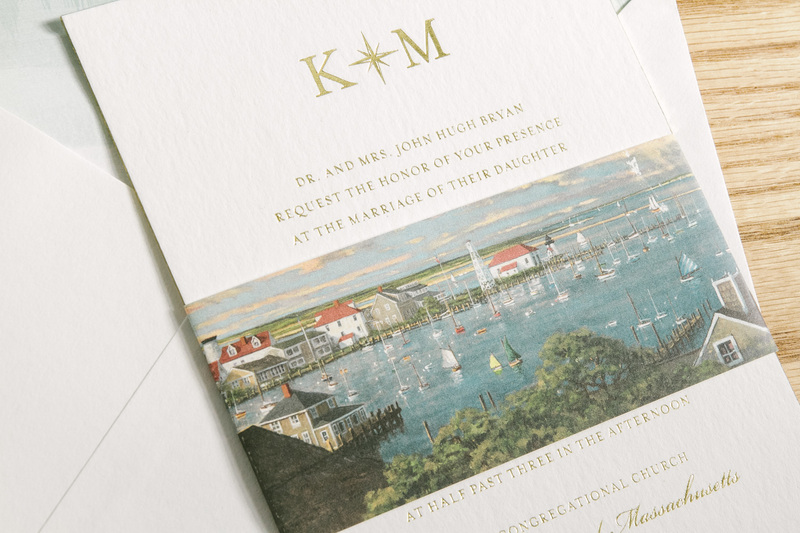 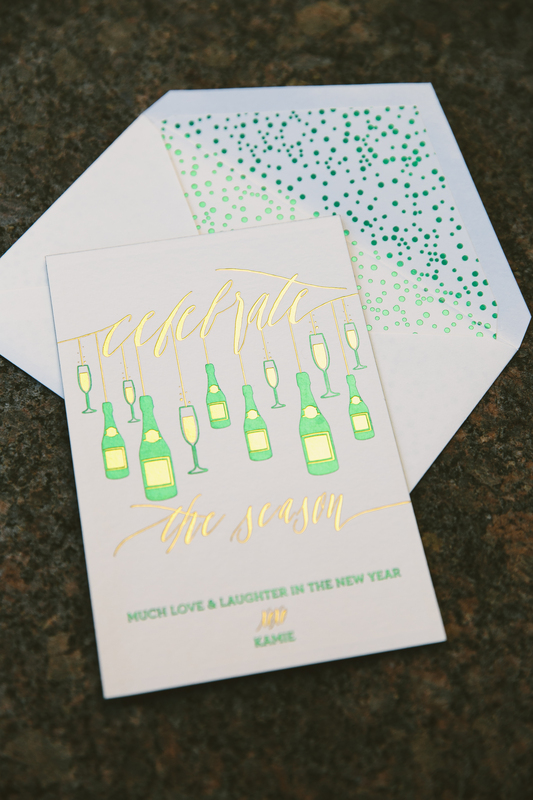 Their modern #10 design featured gold shine foil stamping and sage green letterpress design accents, along with solid sage green envelope liners. 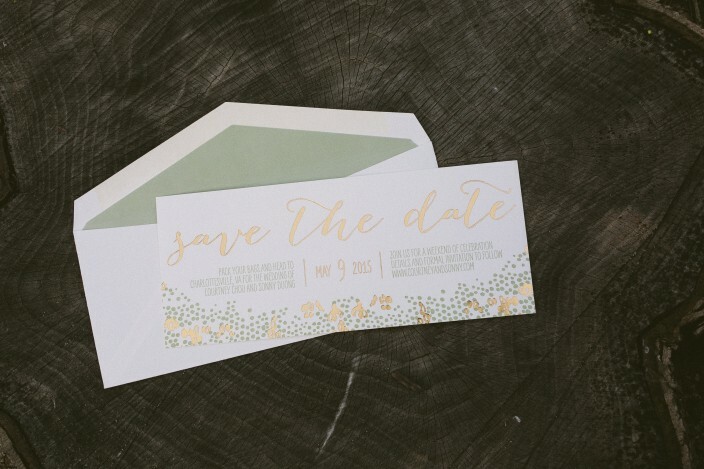 These simple yet sophisticated double-sided save the dates from Events feature both letterpress printing and foil stamping. 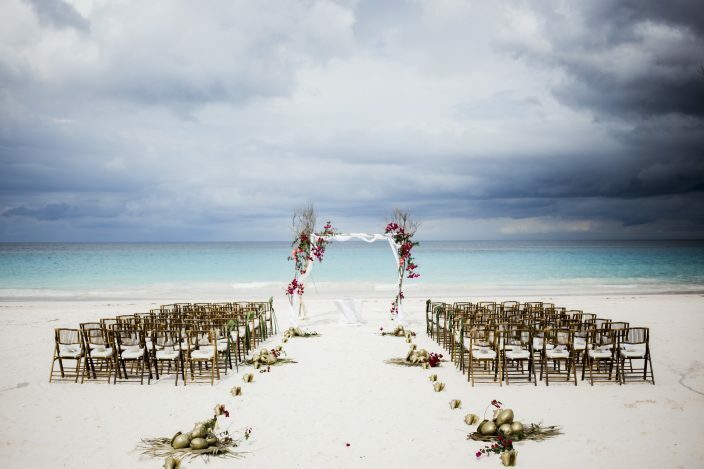 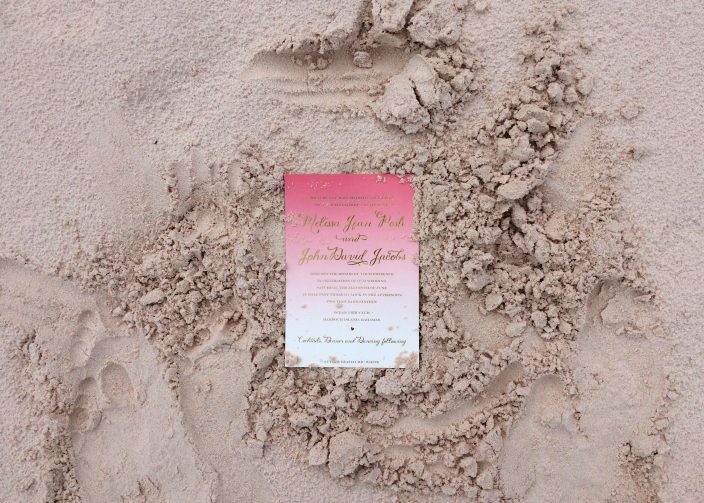 Jill and John tied the knot in Mexico, so they chose our Rainier design and included save the date essentials on the front. 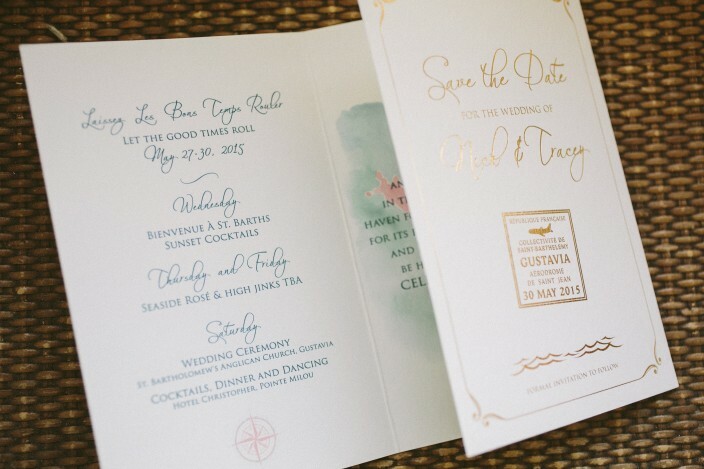 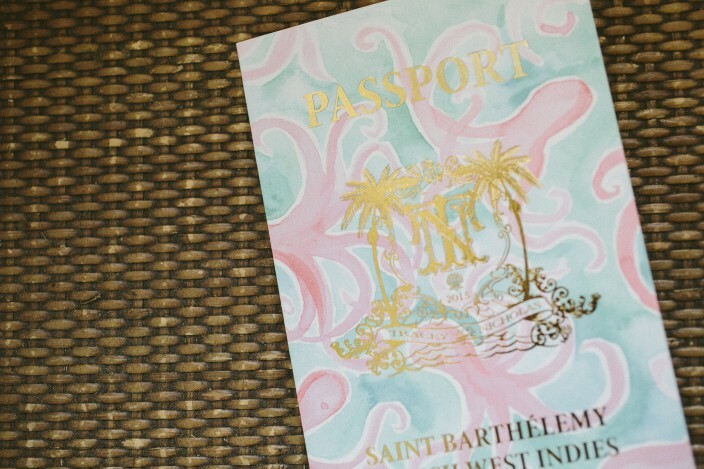 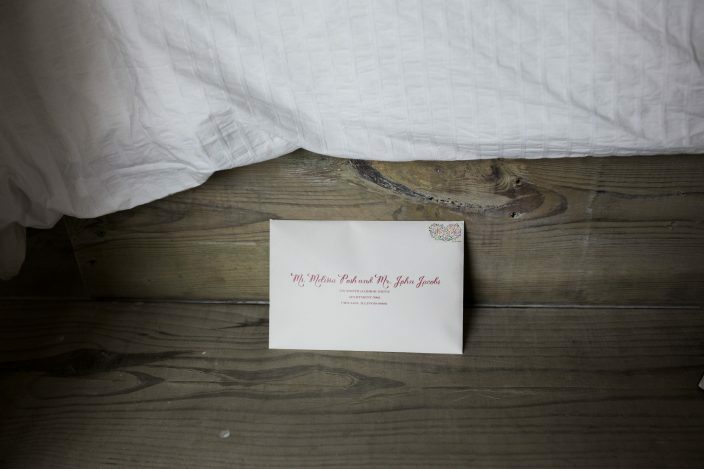 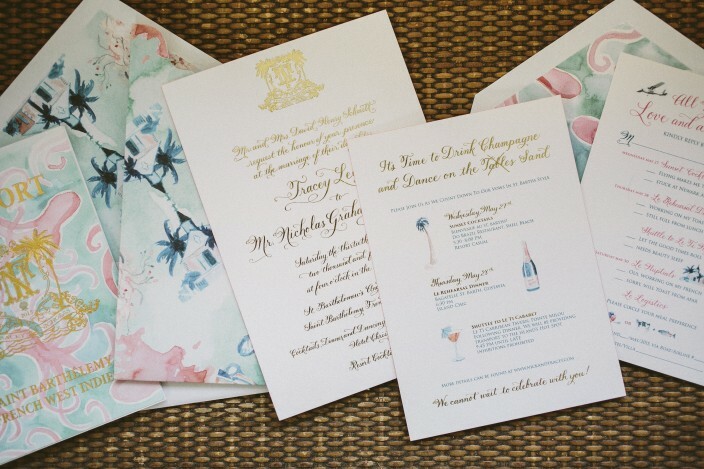 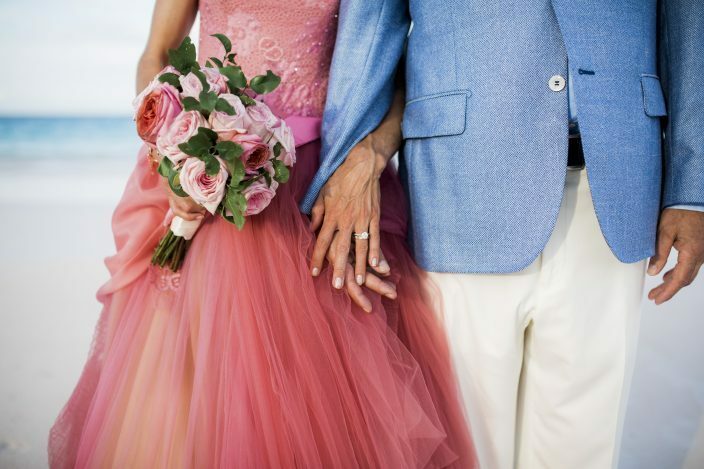 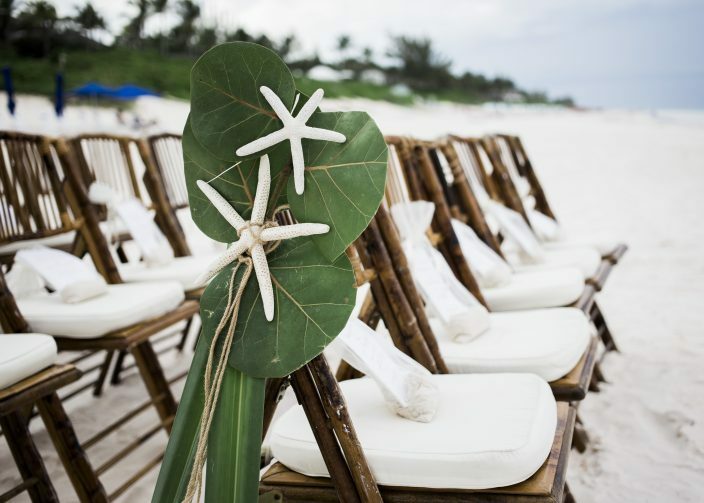 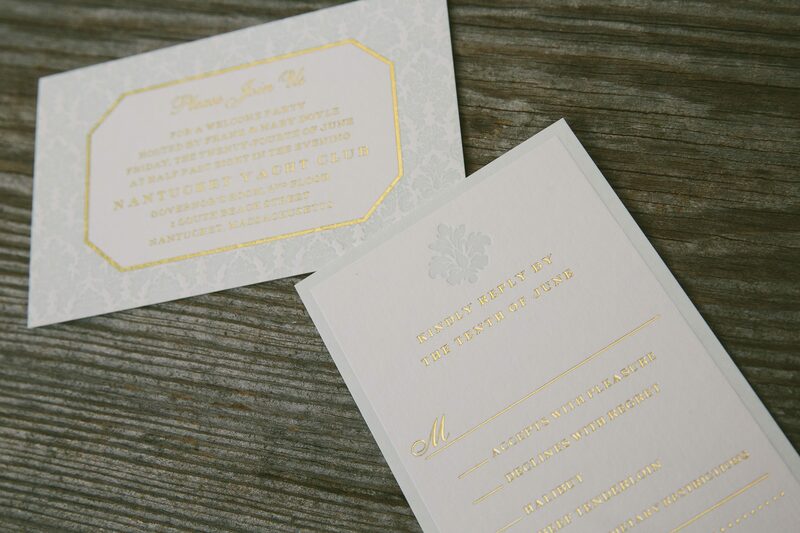 Extra details — like weekend events and a wedding website — were included for guests on the back. 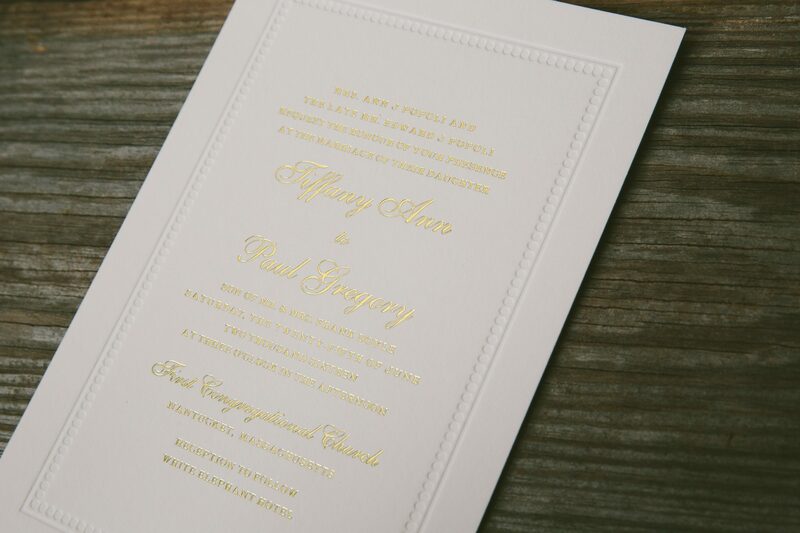 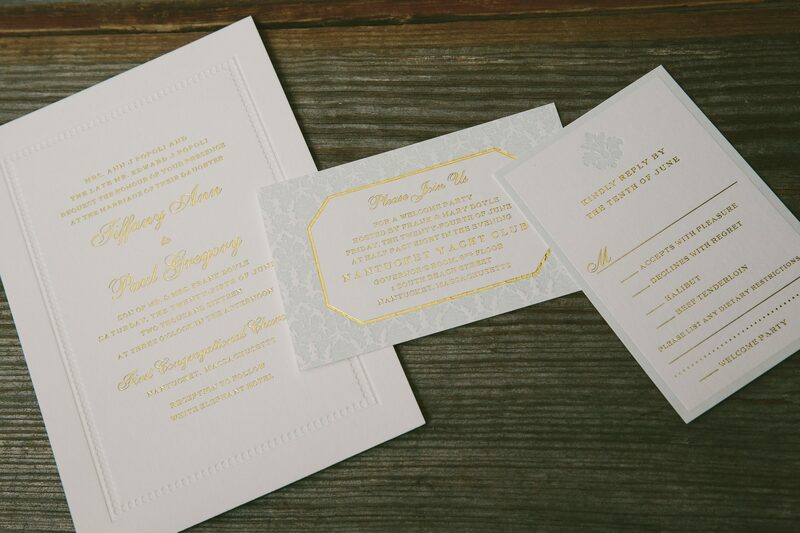 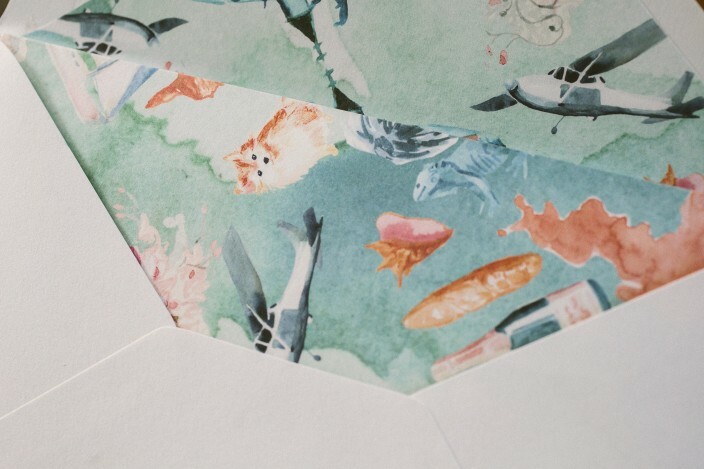 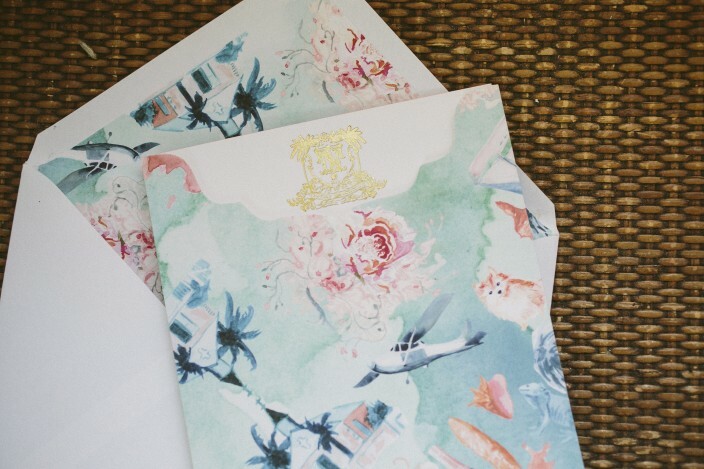 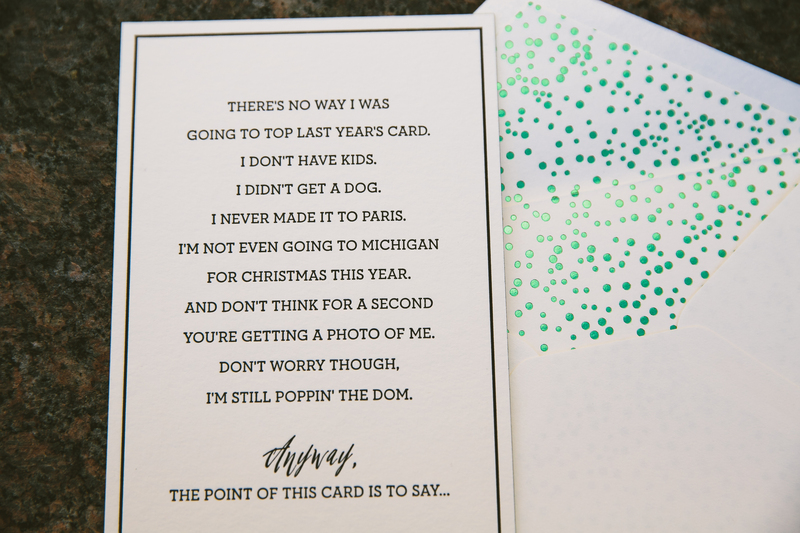 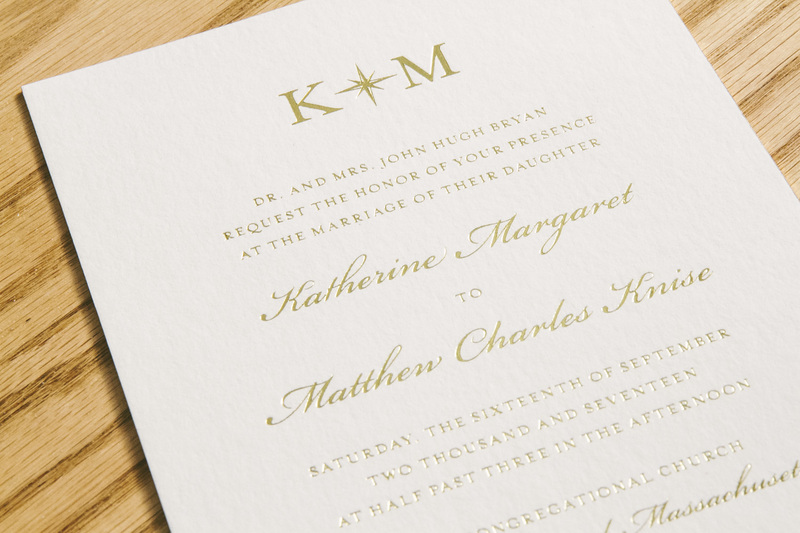 Paper & Poste knows how to make a chic gold foil wedding invitation pop. 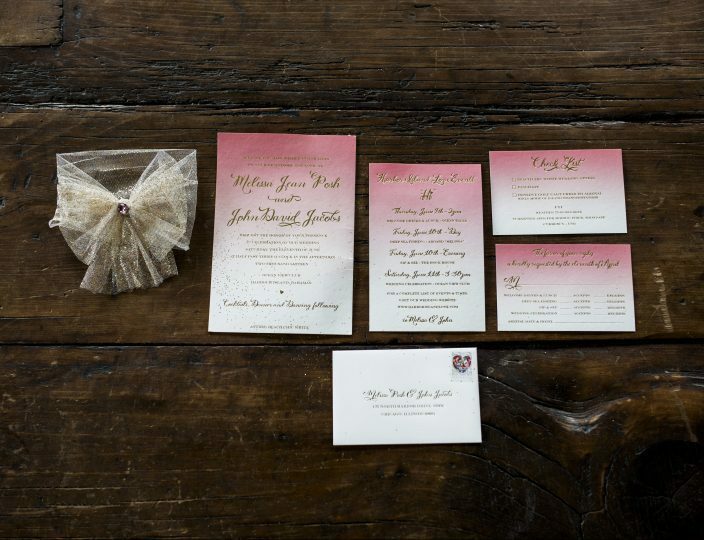 If you love a more simplistic styled invitation but are looking for a little something extra consider using a colorful chevron sleeve.